After losing his parents, this 3 year old orangutan was so depressed he wouldn't eat and didn't respond to any medical treatments. 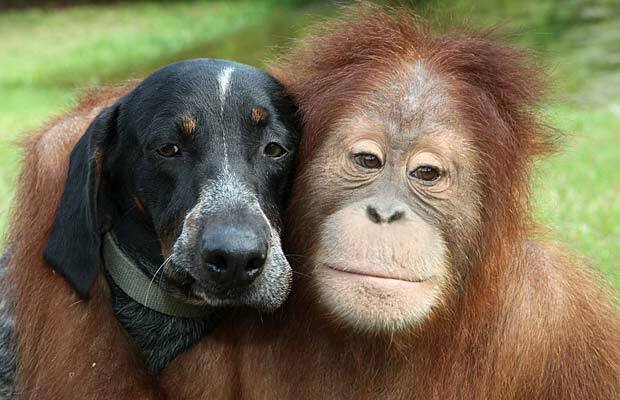 The veterinarians thought he would surely die from sadness. 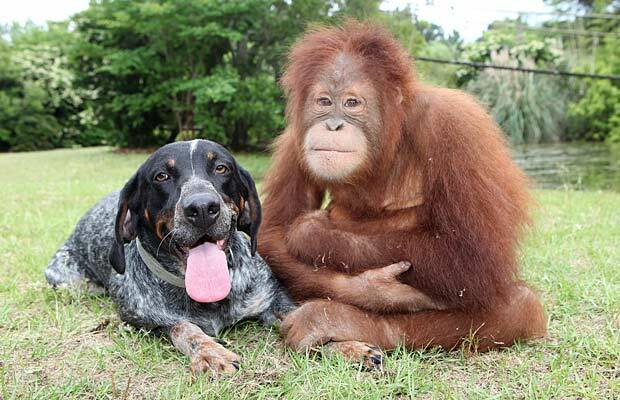 The zoo keepers found an old sick dog on the grounds in the park at the zoo where the orangutan lived and took the dog to the animal treatment center. 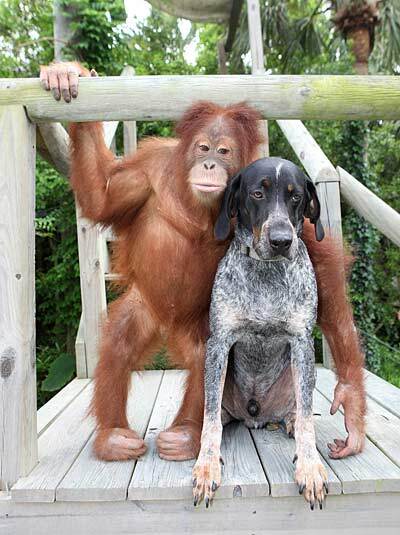 The dog arrived at the same time the orangutan was there being treated. 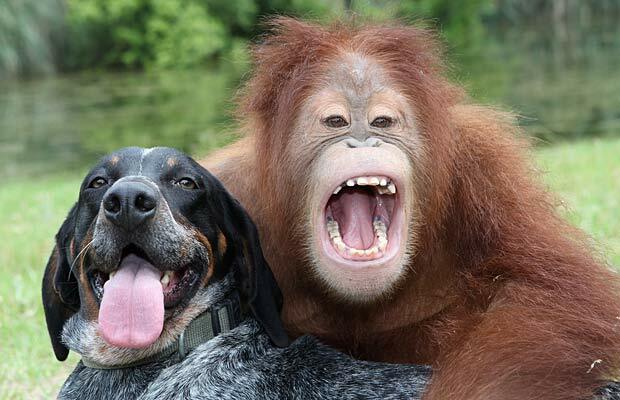 The 2 lost souls met and have been inseparable ever since. 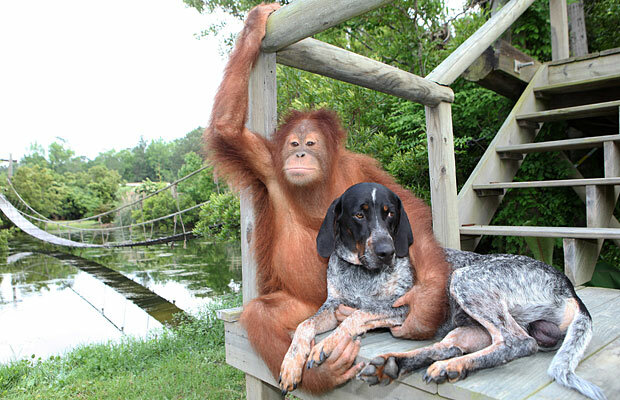 The orangutan found a new reason to live and each always tries his best to be a good companion to his new found friend. They are together 24 hours a day in all their activities. 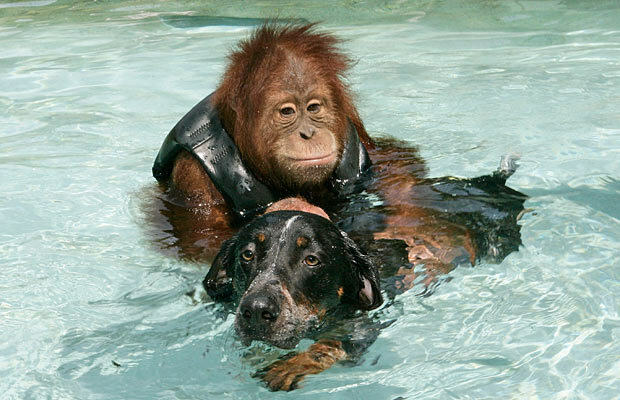 They live in Northern California where swimming is their favorite past time. 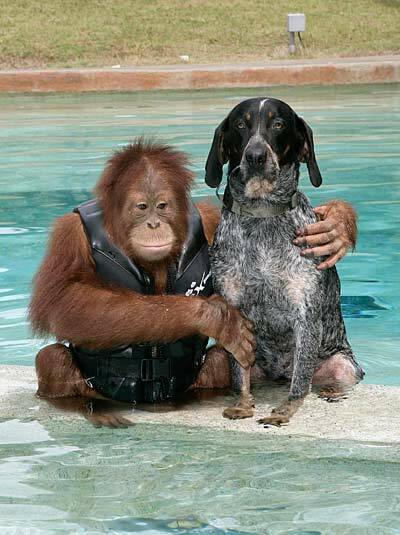 Although Roscoe (the orangutan) is a little afraid of the water and needs his friend's help to swim. I don't know... Some say life is too short, others say it is too long. But I know that nothing that we do makes sense if we don't touch the hearts of others... While it lasts! Love to Share, Health to Spare, And Friends who Care.